Keeping on top of your CX requires ongoing monitoring, with robust, flexible alerting capabilities. Today, many CX leaders are monitoring their CX applications with Cyara Pulse, and leveraging our dashboards to make it easy to see at a glance when something needs attention. To make sure our customers find out as quickly as possible when a problem occurs, we have robust, flexible alerting capabilities. These alerts can be configured to tell you when certain test steps fail, like chat not connecting, or the IVR prompts not playing, or when certain thresholds aren’t met, like when voice quality scores drop too low. The goal here is to initiate action: response and resolution to an issue deemed serious enough that it’s impacting your business. These alerts historically have been delivered through email, SMS notification, or via SNMP to aggregate alerts. 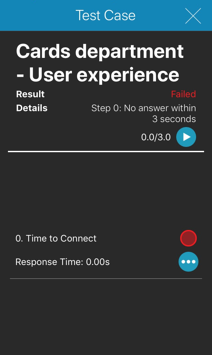 Cyara also has mobile applications for iOS and Android that enable our customers to monitor their CX in the palm of their hands. One of the key benefits of these mobile applications is the ability to get alerts sent through push notification. A push notification is a message that pops up on your mobile device. The message is tied to one of your apps using cloud services that want to get your attention. You don't have to be in the app or using your device to receive them. Push notifications provide instant access to information with little to no energy on your part. Because they are so easy, and so useful, you probably use push notifications for a lot of your applications today — alerting you to latest news, traffic issues, or a flash sale, for example. Why Are Push Notifications so Effective? If you monitor the health of your CX, you likely receive competing interrupts vying for your attention around the clock. And each year, as your CX gets more sophisticated, there are more things that can go wrong, creating more interruptions. Meanwhile, if you are like many others, you keep on top of your personal life (family, friends, activities, hobbies, and other interests) increasingly using your smartphone. Today’s push notifications arrive quickly and reliably, allowing you to respond fast when you need to, getting popup banners on your phone, haptic taps from your smart watch, and notifications stacking up on your tablet. If you are in the middle of an interrupt (e.g., responding to a message from your spouse, or skimming a news alert), the push notification will get queued up, but are at the ready as soon as you are. Push notifications are faster, more reliable, and way better looking than an SMS message. 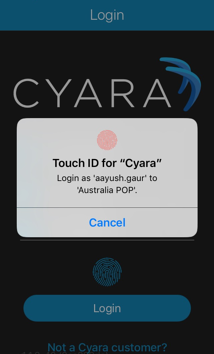 How Do Cyara’s Push Notifications Work? Cyara customers who have already adopted the Pulse Executive Dashboard are increasingly packing more breadth and depth into their CX visibility. 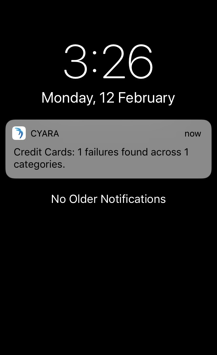 Cyara’s push notifications are an extension of Pulse Executive Dashboard that make it easy to keep on top of issues, and ensure you continue to deliver a flawless CX. You can ensure you receive alerts for problems on which you want to take immediate action by setting thresholds while configuring an Executive Dashboard. And, once you receive those alerts, with a single tap, you can click through directly to the Cyara mobile application to investigate further, and begin to troubleshoot your issue. 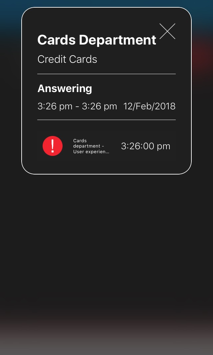 If you use Pulse and the Executive Dashboard today, and you’d like to start using Cyara push notifications, just download the Cyara app in the iOS App Store or Google Play Store. If you don’t yet have Pulse or the Executive Dashboard extension, contact us or your Account Executive to get access, then download the app and opt-in to push notifications.